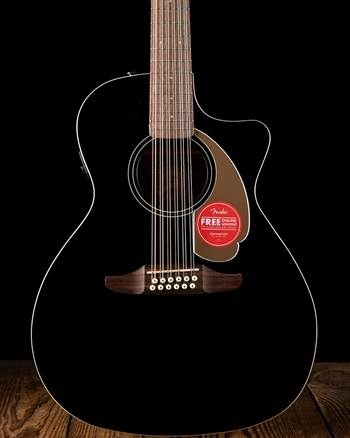 The 12-string acoustic guitar is an incredibly cool variation of the 6-string acoustic guitar. Some players unfamiliar with the 12-string may be a little intimated by all those tuners on the headstock, but not to be fooled! 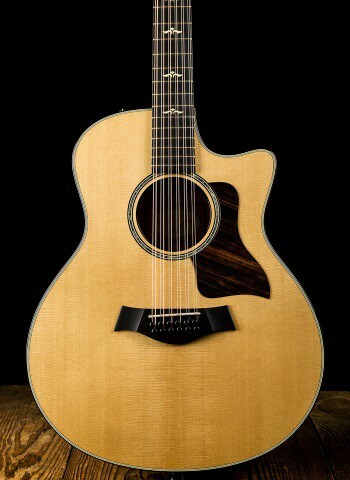 The 12-string is played practically the exact same as a regular guitar, only difference being a little more to grip when pressing the string to the fret. Players after just strumming one for a few seconds can gain the feel for the 12-string and immediately whip out their favorite chord progressions on it with total ease. 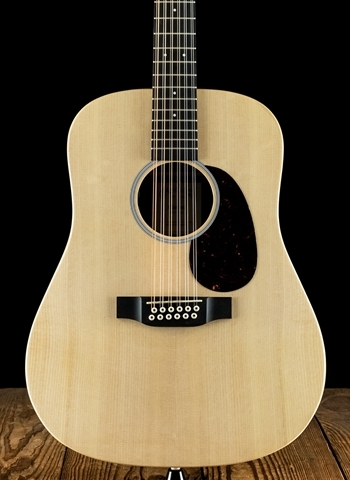 The 12-string doubles each of the six strings, the B and high E strings with a second unison pitched string, and the E, A, D, and G strings with a second string pitched one octave above. Thus, the result is a lush, full sounding chorus-type sound almost as if two guitarists are playing at the exact same time. Whether its Boston's More Than a Feelin', Rush's Closer to the Heart, or Led Zepplin's Over the Hills and Far Away, the 12-string guitar has produced some of the most beautiful sounds ever produced out of a guitar. 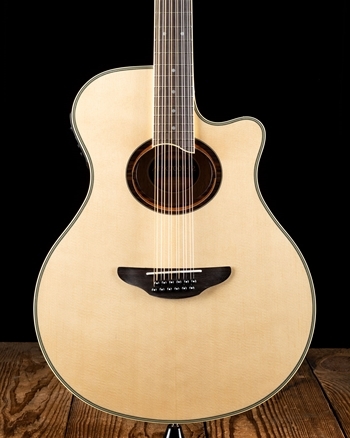 12-string acoustics are available in familiar acoustic body styles helping make the transition from the typical 6-string guitar a much easier transition. 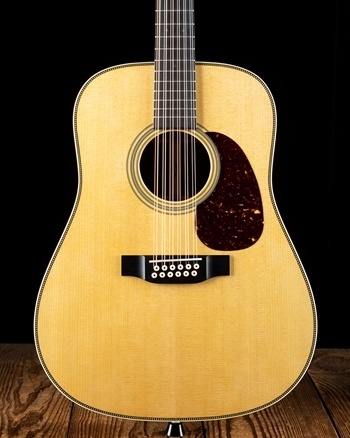 For a more affordable option to receive that lush 12-string sound Fender and Yamaha carry instruments such as the Fender CD-60SCE 12-string or the Yamaha APX700II-12 string that still deliver the same iconic 12-string sound found on some of the most profound records. 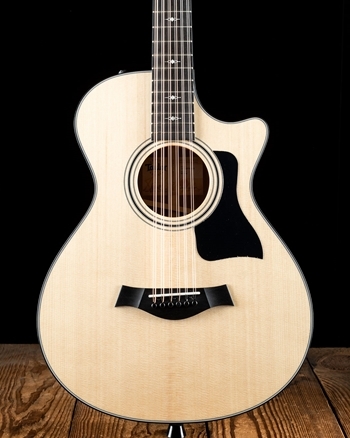 For the player looking to purchase an elite 12-string instrument we have a variety of Martin and Taylor 12-string guitars that take their combination of tone woods, body styles, and electronics, with a 12-string configuration and now you have a monster of a 12-string axe that still contains all the qualities of an elite acoustic guitar. 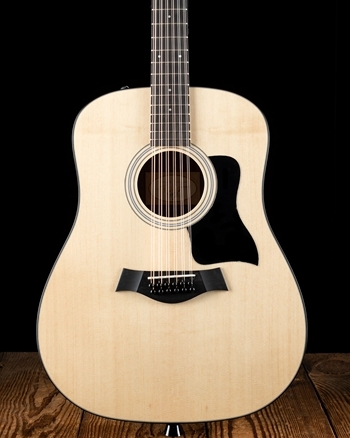 We carry a variety of 12-string acoustic guitar string sets to give the customer the opportunity to find the strings that perfectly enhance the capabilities of their 12-string acoustic. 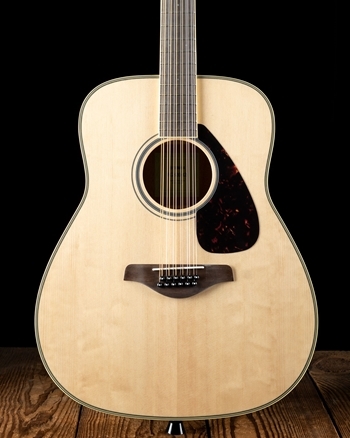 Come down to N Stuff Music today, or chat with us online to find that lush sounding 12-string acoustic you have always craved! We have a variety to choose from and want each customer to find that instrument that fits them perfectly. At N Stuff Music our customers can try any guitar they'd like and we will happily get them acquainted so they can decide which axe is right for them.